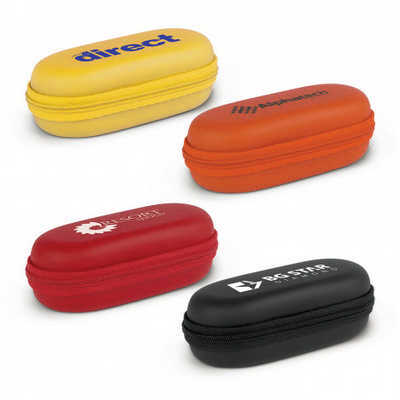 Mini EVA carry case designed for storing a power bank and charging cable. It will hold the Dalek, Electra, Hypertron, Megatron, Phaser, Sabre and Tesla power banks. Colours: White, Yellow, Orange, Red, Bright Green, Light Blue, Blue, Black. Dimension: L 105mm x W 56mm x 42mm. Print Description: 70mm x 30mm. Print Type: Direct Digital. Packing: Loose packed. . Price includes : Direct Digital Per Position (Carry Case). Setup is included.